There’s lots of things to do in Notting Hill when you visit London; the place that conjures up images of the famous romantic comedy film of the same name. The bustling street market, the quaint travel bookshop and of course, the apartment with the blue door where Hugh Grant’s lovable character lives. It’s all a part of the charm that draws so many people to visit London in the first place. The good news is that all of those things exist in real life and can still be considered among the traveller’s things to do in Notting Hill – if you know where to look. 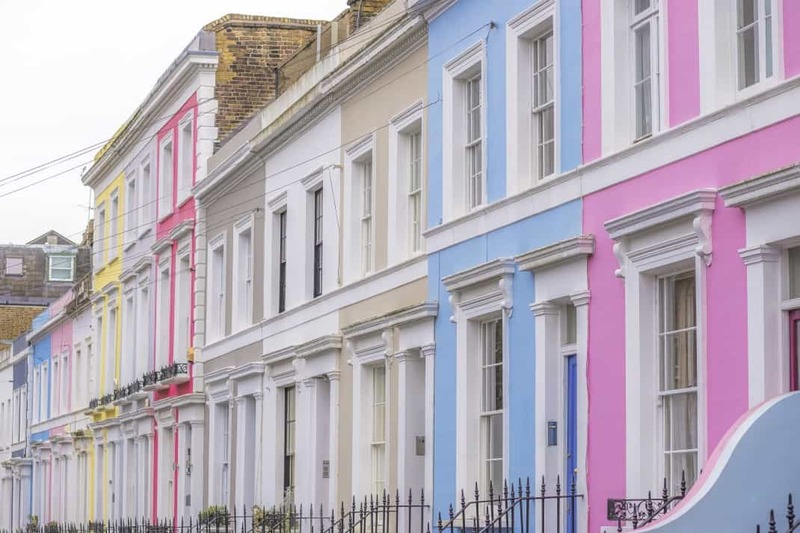 Notting Hill’s popularity may have gone global thanks to the classic film, but there are plenty of other claims to fame that you may not know about. Among the things to do in Notting Hill is Europe’s biggest yearly street festival – Notting Hill Carnival. This street party attracts around 2 million visitors each year, celebrating London’s cultural diversity over 2 big days. Notting Hill is also famous for its main market on Portobello Road. Here you’ll find the world’s largest antiques market where over 1,000 dealers are sprawled across half a mile of road, with hundreds of buzzing market stalls, shops and arcades. 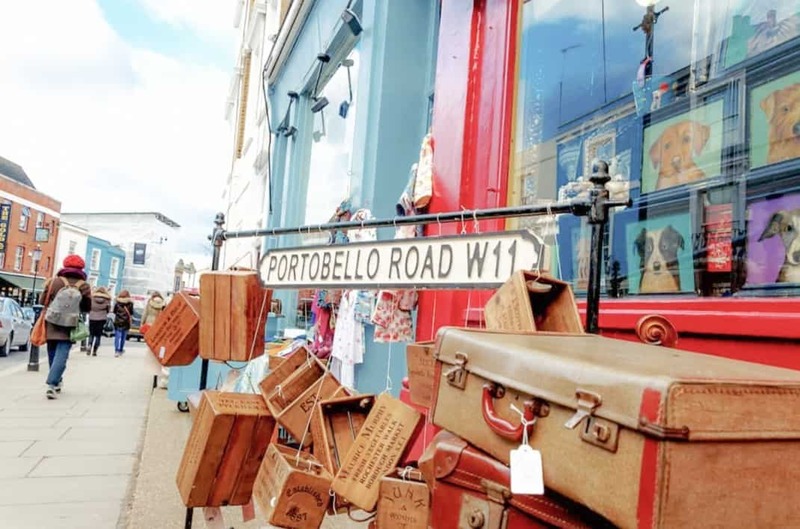 If you fancy yourself a good old-fashioned Del-boy who loves yourself a deal, then you can add Portobello Road to your list of things to do in Notting Hill. With so many attractions coupled with amazing food and entertainment, it’s no wonder so many tourists flock here every year in search of things to do in Notting Hill, just to get that taste of the quintisenntial London experience. The Notting Hill Carnival is held over two days – on the August bank holiday Monday and the preceding Sunday. Portobello Road market is on every week with the general market on Monday – Thursday, while the antique market starts on Friday and the main day to visit with the market in full bloom is Saturday. The markets opens at 09:00am and if you want to avoid big crowds then you should aim to arrive early. You should reserve at least two hours to spend at Notting Hill. Stroll along the half-mile stretch of Portobello Road and explore the many market stalls. You can also sit down for a coffee at one of the many fashionable restaurants and cafes for a spot of people watching on a busy, market day. Finally, don’t forget to make a small diversion at Westbourne Park Road to see the famous blue door. It’s a very fashionable West London district, part of the Royal Borough of Kensington and Chelsea, so be prepared to see many well-dressed Londoners going about their day-to-day life. The market, however, is very diverse and welcomes people from all over London and beyond. For a day out strolling the streets and enjoying the market, simply wear something comfortable. Portobello Road Market is one of the main attractions of the area. Not only is it one of the most popular markets in London, every Saturday it’s also the biggest antique market in the world. People come from all over the globe to walk the half-mile stretch and see what kind of bargains they can find. Unfortunately, these days good deals are hard to come by but you’ll still find some wonderful treasures none-the-less. The Carnival is a star attraction of London every August. If you’re visiting at that time of year, then the Carnival needs to be right up there on your list of things to do in Notting Hill. 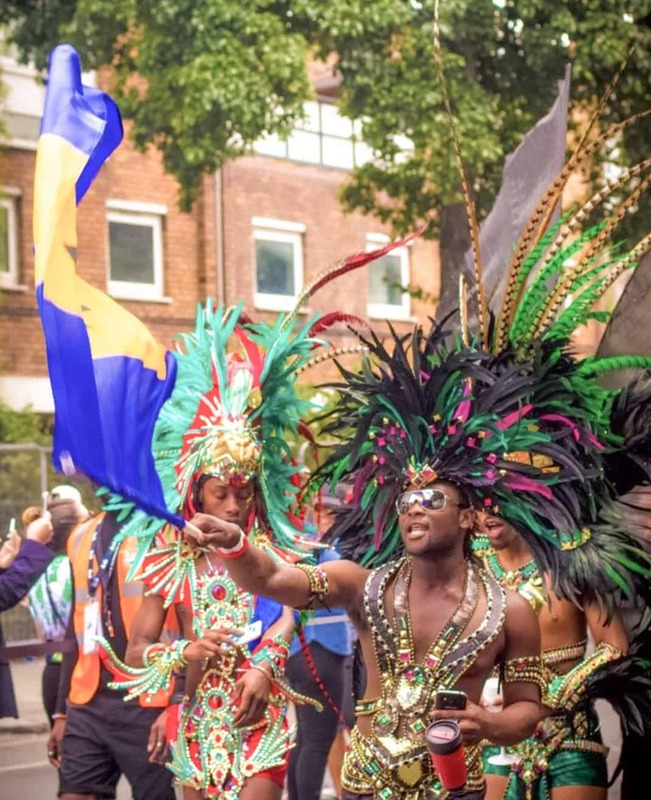 This is when over two million people descend upon Notting Hill for a two-day street party, celebrating London’s diversity and Caribbean culture. Amazingly, Notting Hill Carnival is actually the world’s second biggest carnival after Rio de Janeiro’s Carnaval! Sunday is classed as Family Day, while the real party is on Monday when things get a little crazy. In other words, it’s definitely not one to be missed. For all film lovers, there are many film locations to be found in the area. 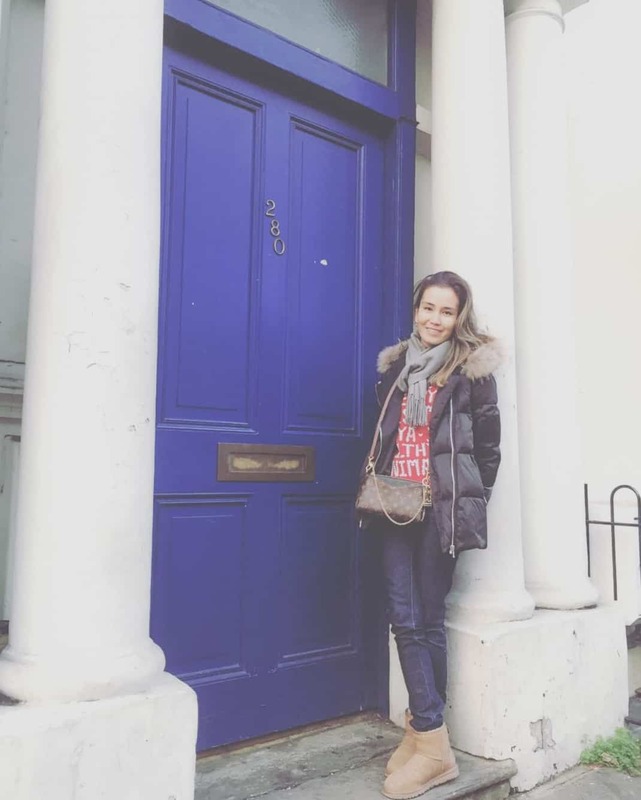 Starting with the infamous blue door, which can be found on 280 Westbourne Park Road. The little travel bookshop location is 142 Portobello Road, however it was based off the real book shop at 13 Blenheim Crescent. Then there’s the Rosmead Gardens where William (Hugh Grant) and Anna (Julia Roberts) shared their “Whoops-a-daisy!” moment.